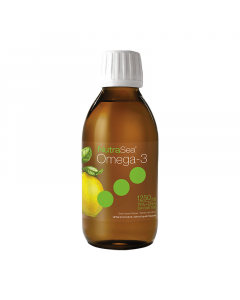 Since 2003, NutraSea has established a reputation for ultra-pure, great tasting omega-3 products that are unsurpassed in quality and innovation. 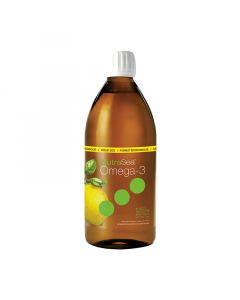 With an industry-leading portfolio of omega-3 products, NutraSea is a pioneer in great tasting liquid omega-3 as well as plant-based algal formulas. At the core of the brand are values such as environmental sustainability and conservation. NutraSea was the first natural health product to belong to 1% For the Planet, an organization that directs 1% of all sales to protecting the environment. Through partnerships with organizations such as the David Suzuki Foundation, NutraSea has been a leader in contributing to a healthy planet. In 2015, original NutraSea manufacturer Ascenta Health announced that it had joined with renowned US-based health brand, Nature’s Way. As a division of Nature’s Way, the company’s operations and employees will continue in Nova Scotia, Canada.